It’s finally happened: the giant of music streaming services has launched in South Africa. Even though the Swedish company has more than 70m paying subscribers worldwide, it’s been largely absent from developing markets, leaving rivals such as Apple Music, Google Play Music, Simfy and Deezer to make early headway. 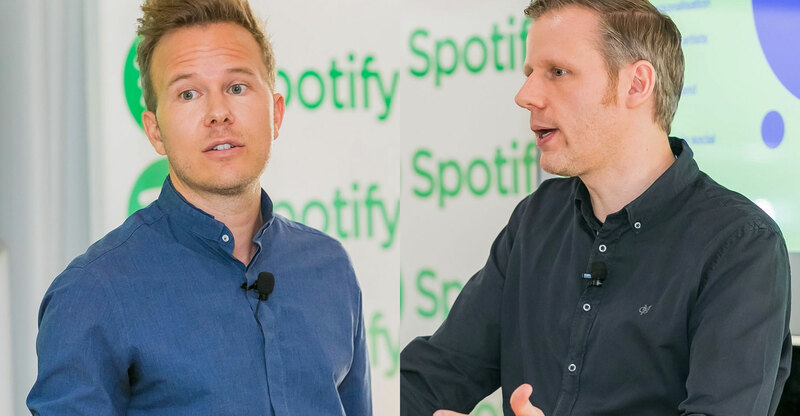 By introducing its service at the same price as its competitors, Spotify is hoping South African consumers will switch sides. And the company’s free tier could help it get a leg up relative to the competition. In this episode of The Best in Tech podcast, Regardt van der Berg talks to Claudius Boller, MD for Spotify Middle East and Africa, and Michael Krause, MD for Spotify in Europe, the Middle East and Africa, about the South African launch, the technology behind the app and Spotify’s algorithm. There are many ways to enjoy TechCentral’s podcasts, beyond simply streaming them from our website. A good way is by subscribing to them using an app on your phone, allowing you to listen in the car, at the gym or wherever you happen to be. The TechCentral Podcast RSS feed is available via iono.fm, while there are separate feeds for weekly TalkCentral podcast and The Best in Tech. If you’d like all three podcasts in one RSS feed, that’s here. Use the RSS feeds to subscribe to either podcast (or both podcasts) in your favourite reader (we recommend Pocket Casts for Android, iOS and Windows Phone — look for “TechCentral” in its search engine to find both shows).